FREE QUOTE. Prices and promotions change monthly and by unit, so we provide you with the most up-to-date price and availability. Price: $800/night and up, Contact us for best available price. The newest and most luxurious condo resort in Wailea with beautiful oceanviews and spacious interiors, located adjacent to Wailea Beach, The Shops at Wailea and the Grand Wailea hotel. Price: $400 - $1400/night, Contact us for best available price. Price: $400 - $1200/night, Contact us for best available price. Comments: Gated beachfront property with spacious interiors. Price: $450 - $700/night, Contact us for best available price. 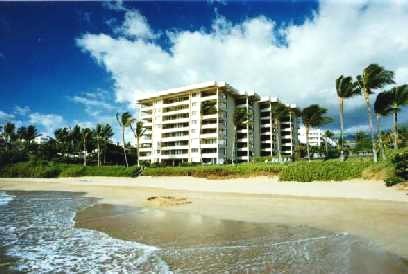 Comments: Beachfront high-rise luxury townhomes with resort amenities, located next door the the Kealani hotel. Maui Vacation Accommodation prices quoted in this guide are subject to the 14.42% Hawaii State "Hotel and Accommodations" Tax. If you’re looking for a less expensive alternative to the major hotels but still want to enjoy the sunnier side of Maui, we recommend staying in a condominium in Kihei or Wailea on the southshore. Since it is only 15 - 25 minutes from the northshore and the westside, this is a good central location on the island. There are many restaurants and shopping options around town as well as many of the islands’ best beaches. There is also excellent golf and tennis available in the world-class resort of Wailea. The snorkeling is ideal throughout Kihei and Wailea. Most condominiums have full kitchens and private balconies as well as swimming pools and barbecue areas in most complexes. Ma'alaea Harbor is just a short drive away and offers snorkeling trips to Molokini as well as whale/dolphin-watching cruises. Stunning sunsets are a year-round experience on the southshore. 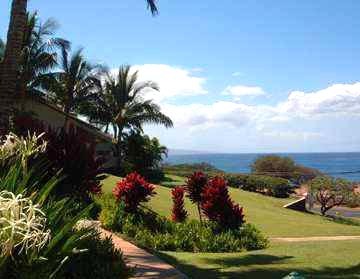 Maui's Southshore - Why is it a better choice vs. the westside? We've been asked this question for many years and it will continue to be a good one, especially given the amount of "false info" out on the internet these days, with all sorts of "reviews" being written and taken as "truth". Both of these sides of Maui have been developed for "tourism" by virtue of their geographical location, though the westside was developed first, mostly in the 70's and 80's because of the prior existence of Lahaina town, with the southshore being a little later to develop in the 80's and 90's. 1)	The southshore typically has warmer and drier weather thru the critical "winter/spring" months of December thru April. While both are "leeward" shores, the westside gets about the same rainfall and wind conditions as the northshore. The southshore tends to be much less rainy and even less windy the further south you go. 2) The beaches, all of which are open to the public, including the ones in Wailea where the hotels are located, are superior not only in number but they could be called more "user-friendly" in that they are less prone to get surf most of the year and provide better swimming, walking, and snorkeling given their geographical location on the island. 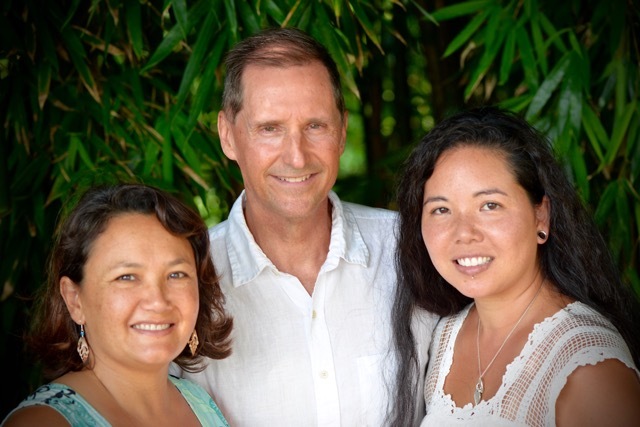 3)	It's more centrally located so that you can use it as a good "home base" from which to enjoy the whole island, which is really what a vacation on Maui is all about, without being somewhat "isolated" as you would be staying on the westside. It's just a 15- 30 minute drive to the northshore and 30 - 45 minutes to the westside, depending on where you're staying on the southshore. 4)	There's less "density" of development on the southshore in terms of condos, hotels, and commercialized areas. Of course, no one is attracted to the "suburban sprawl" of the southshore, that's not what you come to Maui for, but it is nice to have modern conveniences of shops and restaurants close by without having to "look" at them or be surrounded by them during your stay, which is why we only recommend properties in the northern end or southern ends of the southshore, not in mid-town Kihei, so that the busiest parts are "out of sight/out of mind".